Until recently LaTeX has used its own font format which has meant that the choice of fonts was limited to those that had been ported or created for use with LaTeX. 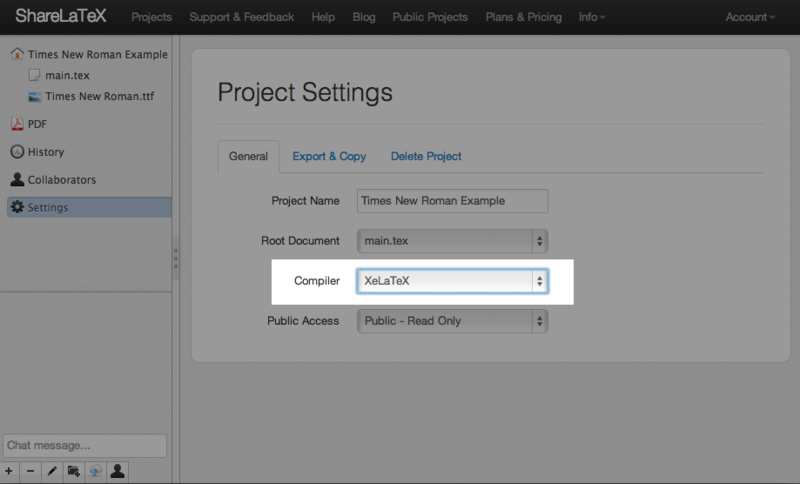 However, the newer XeLaTeX compiler has built in support for many more font formats, and can use the fonts that come installed with your computer, like Geogria, Times New Roman and Helvetica. ShareLaTeX supports XeLaTeX which means that you are now spoiled for choice when picking your font! 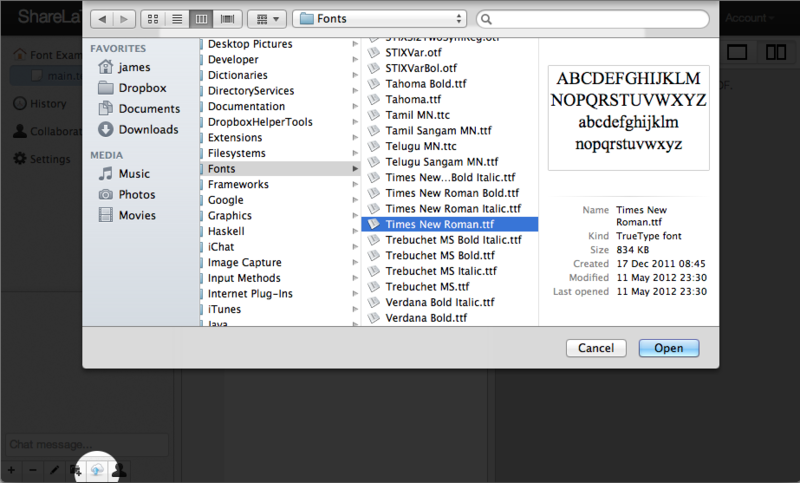 When you compile your document, you should see the text in the Times New Roman font. There are many freely available TrueType (.ttf) and OpenType (.otf) fonts that you can use with ShareLaTeX. The Google WebFonts collection contains many free to use fonts. A popular open font is Linux Libertine, and you can find an example of this being used with Ove5rleaf here. The example also show how XeLaTeX has built in support for accented characters, and how to use italic and bold fonts. Update 25/02/2019: archival link, project is no longer available. I hope that you will go forth and explore the delightful world of fonts that are available to use with ShareLaTeX.